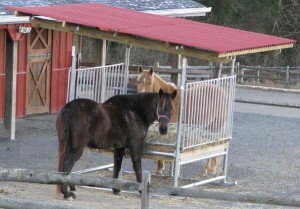 A “bully” horse was taking over this ring bale feeder – our H-8 Hay Saver Horse Hay Feeder took care of that problem! Truthfully, I don’t know how many bales it took to get to this point. One of our customers sent this picture to us after receiving their new C-7. 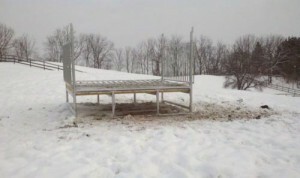 This picture was taken after one 1500 pound bale / no clean up. 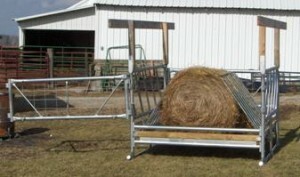 If you are already using a “ring” hay bale feeder. If you are paying $60.00 per 1,500 lb. bale. 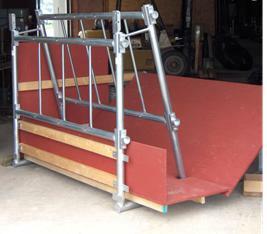 If your bale is of decent quality. 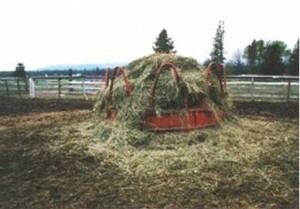 If your “ring” hay bale feeder is only wasting 35%. 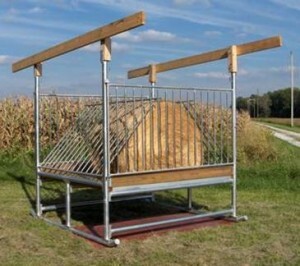 If you feed 100 bales per year, weighing 1,500 lbs. each. 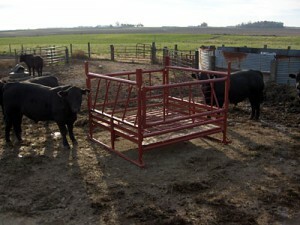 Ring bale feeders average life span ???? 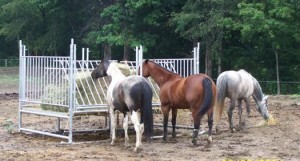 These figures are based on our local veterinarian and will be subject to variables such as quality of hay, size of bale and correct use of feeder. 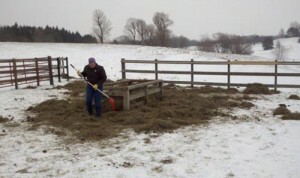 93% Efficient $16.80 per bale Savings OVER “ring” feeder. $16.80 per bale x 100 bales per year = $1,680.00 Savings Per Year.